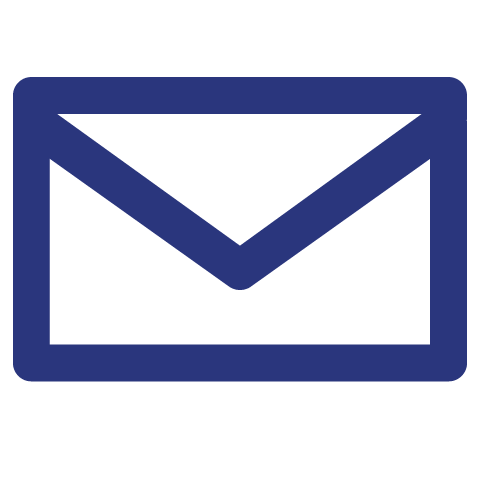 What is Mathemagis? How is it different from other math programs? 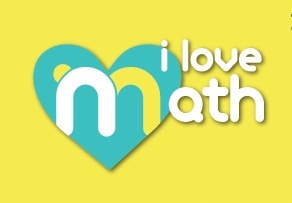 Mathemagis is an after-school enrichment program for children 4 – 12 years old based on Singapore’s proven and effective mathematics curriculum. What makes Mathemagis different and effective? 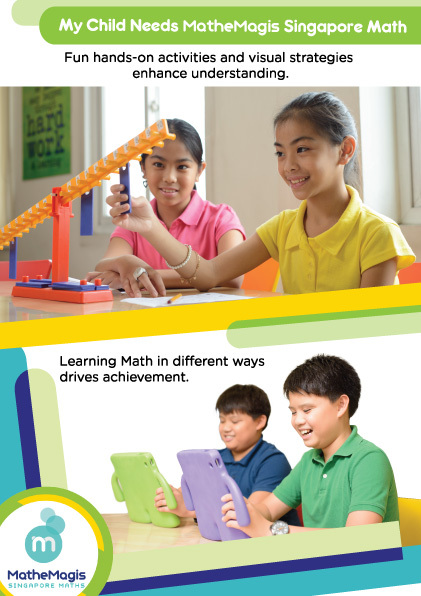 Provides an inspiring and learning enabled environment where kids can enjoy and learn math with ease. What are the benefits for my child? Children build visualization, numeracy and analytical and various 21st century skills needed to be globally competitive. How does Mathemagis address individual differences in children’s math skills? Mathemagis knows that each child is unique and makes an Individual Work Plan for each student. 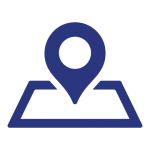 The Individual Work Plancontains the sequence of topics and concepts a student will work on based on the results of the assessment. 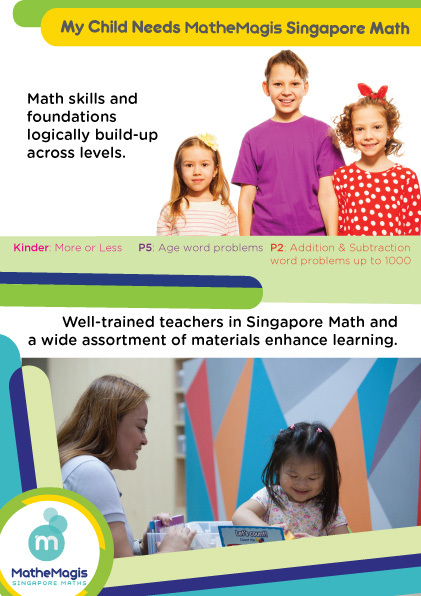 These topics are part of Mathemagis’ program and are aligned with the Singapore Math curriculum and framework. 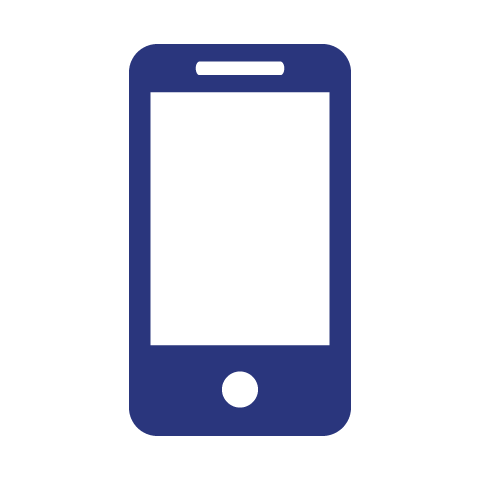 Moreover, it identifies skill and concept milestones which help parents and teachers keep track of a child’s progress. My child uses traditional math in school and is struggling with word problems. Can the Singapore Math approach help her? Yes, definitely. One of strengths of Singapore Math is the use of the bar-model approach to solving word problems. 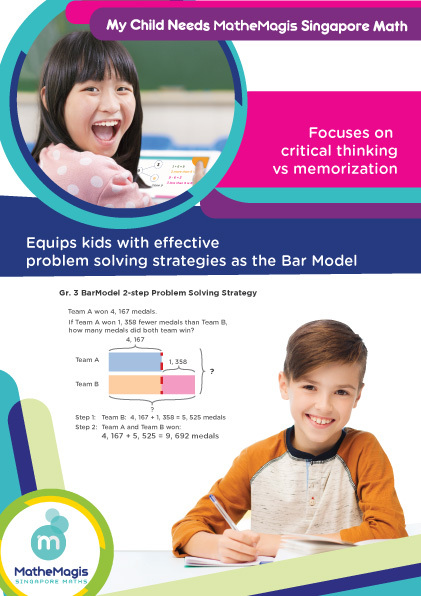 This approach develops children’s visualization and analytical skills allowing them to understand, break-down and solve multi-step word problems. Moreover, this technique applies to all mathematics word problems. My son is doing well in Singapore Math in school but I want him to be advanced. Can he do this with Mathemagis? Yes, students are given an initial assessment to determine their current level and can go up to levels higher than their present school grade if he has shown mastery of the current levels. 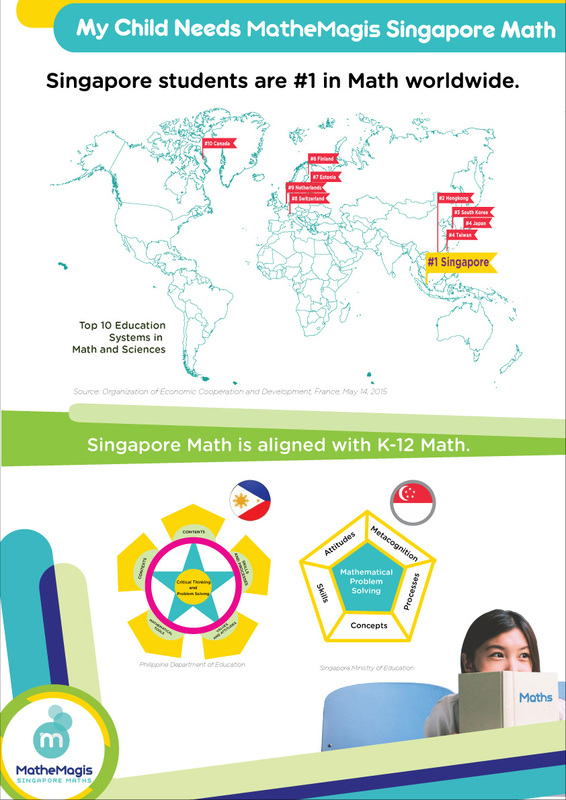 He can do advanced topics that are within the coverage of the Singapore Math curriculum. Call us to schedule a free assessment!